Hard-as-nails Liberal Democrat MPs last night finally fronted-up to their bullying Conservative masters in the Coalition by heroically abstaining from the Labour motion to scrap the Bedroom Tax that their own party conference officially rejected. Bandana-clad rebel Simon Hughes urged the government to see if there should be further exemptions from the tax, including permission not to see housing benefit cut if a tenant has agreed to downsize from over-generous accommodation. And then heroically voted in favour of the Conservative government’s pantomime villainously poor-bashing bill. Famously fair-minded former leader Charles Kennedy went into full Rambo mode and couldn’t be arsed to turn-up. 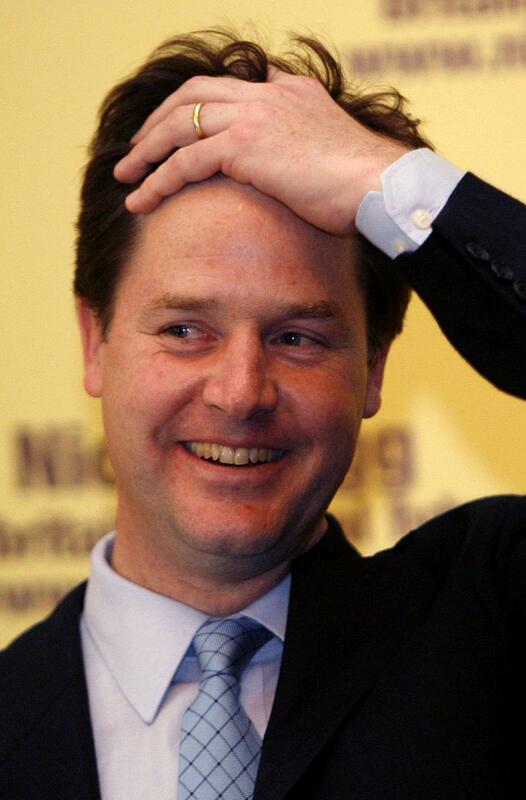 But stealing the show his daredevil leader, Nick Clegg, showed his Tory dads he was “mad as hell and he’s not going to take it any more” by avoiding the “square” parliamentary vote and instead scaling the Commons walls like Clint Eastwood in The Eiger Sanction and screaming his objections at 17th century masonry. God bless you Lib Dems, you fought to the death and this November we salute you.